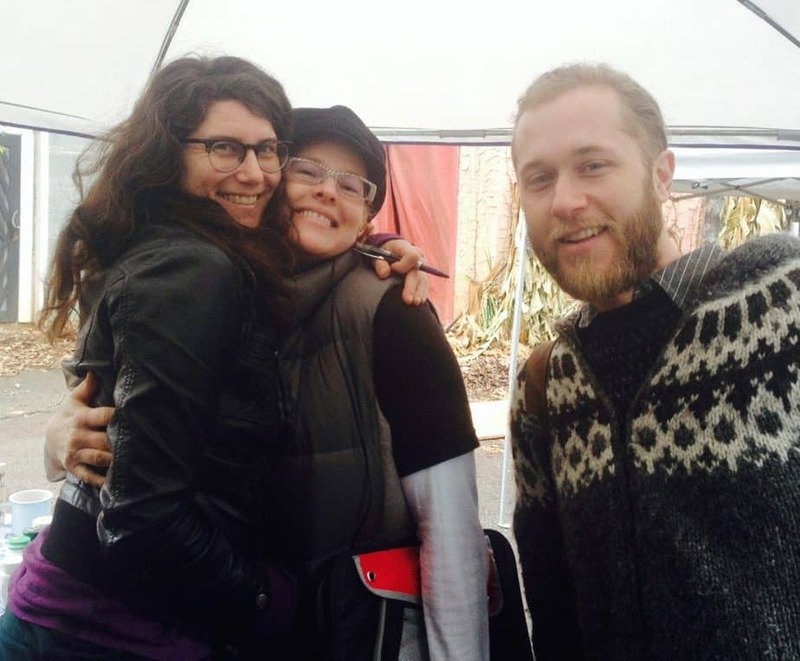 Become a monthly sustainer and help us build a more vital community through herbalism. Your support helps keep the wheels turning at Herbalista! Give what you can and get what you need! Join online via Paypal by clicking the links below. If you would like to pay a yearly membership, please email the office. The Herbalista Free Clinic operates through a partnership with MPower Now, a 501(c)3 organization. All donations are tax-deductible. 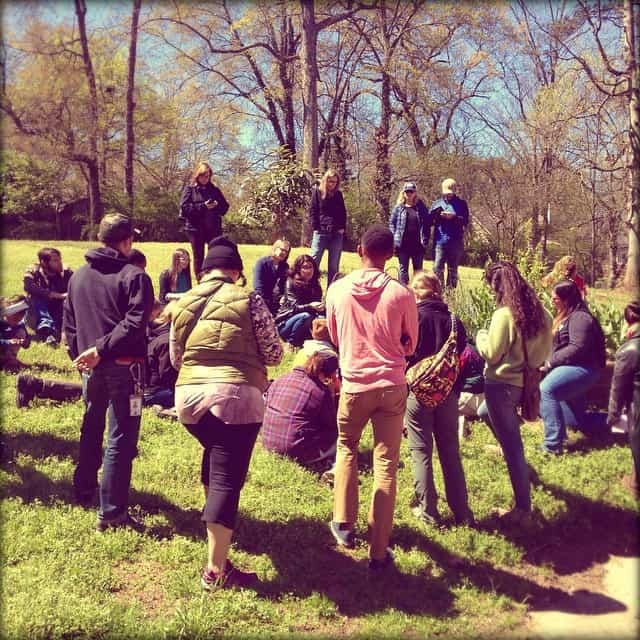 Your support helps us continue the Herbalista mission of building community through herbalism. 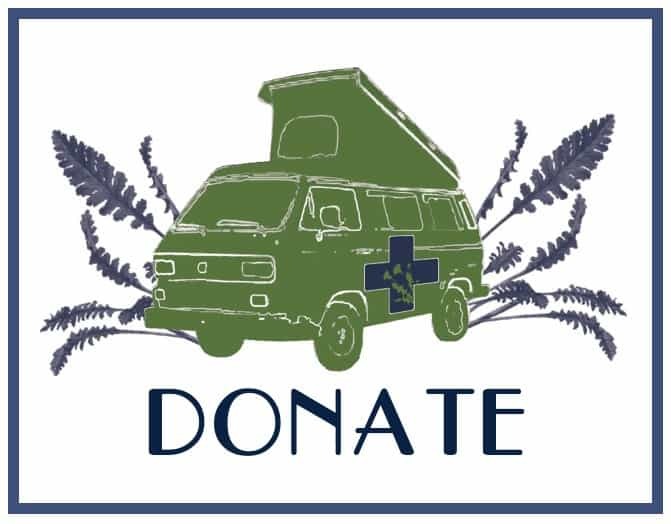 Your donations fund the free clinics that serve hundreds each year as well as continue to build our web-based resources that have helped other communities create mobile clinics of their own. To donate via Paypal please click here. 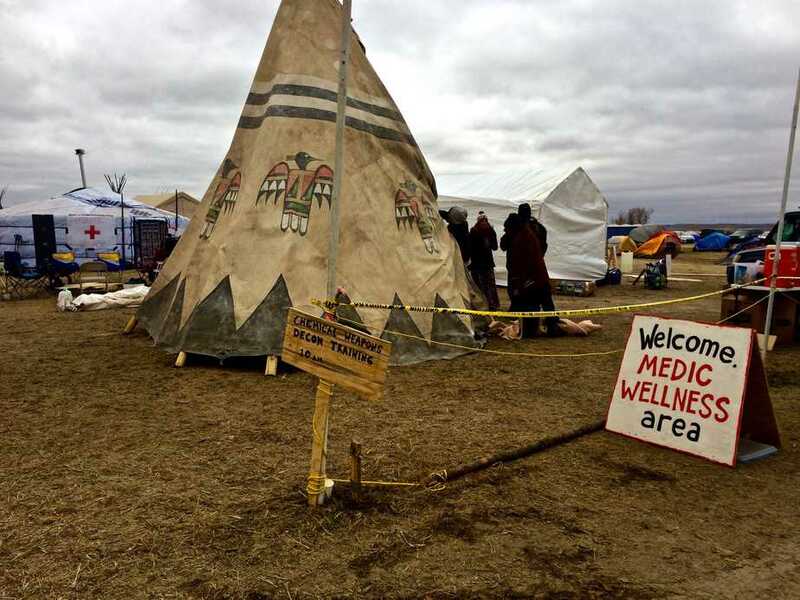 n November 14th, 2016 the Herb Bus traveled to North Dakota to provide medical and logistical support at the protest camps at Standing Rock. The Standing Rock Sioux Tribe is courageously protecting both the water and their rights as a sovereign nation. Lorna spent several days working in the herbal medic yurt, Kimmy and Darby helped out with both construction projects and in the kitchens, and we delivered lots of supplies and medicines. Thanks to everyone who contributed to those efforts. If you still wish to send supplies or donations directly to the Standing Rock Medic and Healer Council, please utilize this current list of needs. or consider a cash donation directly to the Medic Healer Council. FOOT AND HERBAL CARE in CALAIS! Thanks to everyone who donated towards my two trips to serve in the Calais Refugee Camp in France in the summer of 2016. 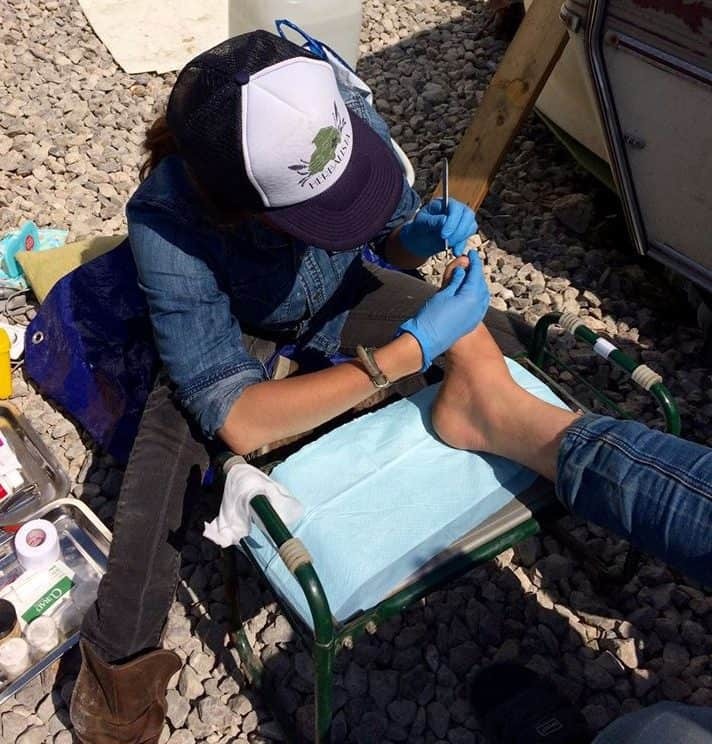 Along with other holistic practitioners, I provided foot care in this makeshift village of over 6,000 displaced persons (including unaccompanied minors.) These refugees are from all over– not only Syria, but from Afghanistan, Sudan, India, Eritrea, and Pakistan. Each night many try to hop lorries and trains to make the channel crossing into England. A few might be successful, but many will end up at our first aid station with rubber bullet contusions, sprains, and strains. It was difficult to see so many in such devastating circumstances and to appreciate the reality that the people we were seeing are almost the lucky ones, meaning they had made it this far and not died along the way. In the face of all this, I am glad that I have even this little service to offer. I am grateful that I can hold someone’s foot, soothe some of their pains, and offer a moment of tender care. And I am grateful for all of you! We couldn’t do this work without you! Thank you for considering donating herbal supplies to Herbalista. The Herbalista Free Clinic provides earth-based care to the homeless and other underserved populations in Atlanta and around the country. 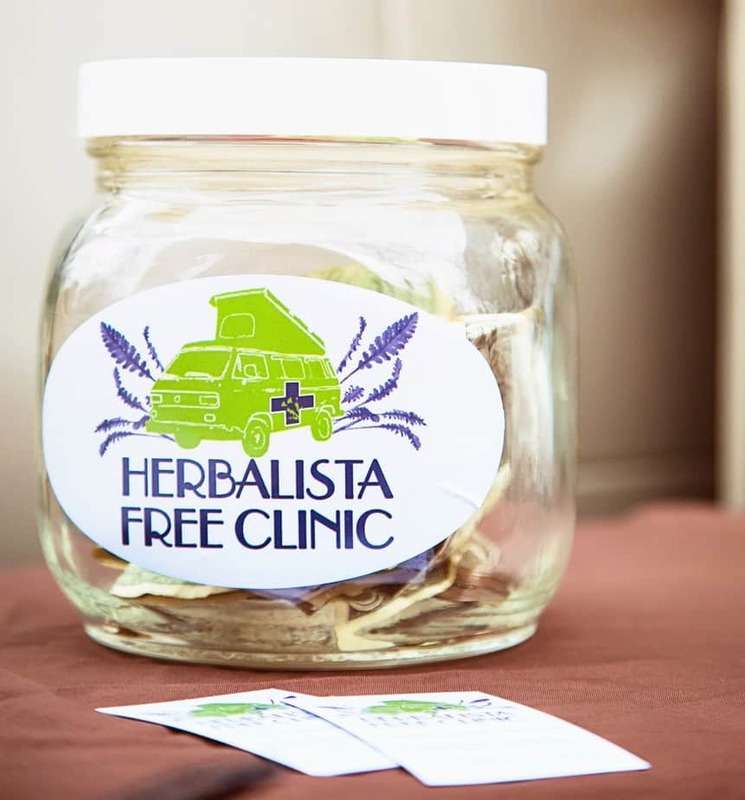 We dispense herbal remedies via our mobile clinics (the Herb Bus and the Herb Cart) and also distribute herbal care packages. Your support will help sustain our efforts! If you have any questions regarding herbal donations, please contact Lorna at Lorna@Herbalista.org. Thanks to everyone and everything that has made this project the community resource it is today. Together we will continue building community through herbalism and putting the heart back in healthcare. Much love to the founding community of support for the little bus that could!